Mechanical Engineering at IIT Madras » Dr. Arunachalam, N.
Dr. N. Arunachalam received his B.E in Mechanical Engineering from College of Engineering, Guindy (1994-98), Anna University and his M.E (Manufacturing) from MIT Anna University(1999-2001) further his PhD is from Indian Institute of Technology Madras, Chennai during 2010. He worked as a Research Engineer at General Electric, GRC, Bangalore, India for three years from 2011 to 2013 prior to joining IIT Madras. Giri Brothers memorial Prize to Mr. Madhav Dubey (M.Tech student of Dr.N.Arunachalam) (Best M.Tech project in Mechanical Engineering for the year July 2015. Sivasailam Merit Prize Mr.T.K.Balasaravanan for best individual project in B.Tech. Mechanical Engineering for the year 2016 (B.Tech student of Dr.N.Arunachalam). Subramanian Rajalakshmi Indira (S.R.I) Endowment Prize awarded Mr.T.K.Balasaravanan for best B.Tech student with best Inter-disciplinary project for the year 2016, (B.Tech student of Dr.N.Arunachalam). T.K.Balasaravanan & N.Arunachalam won Best Student Project Showcase Award for the project titled ” IOT enabled smart CNC milling machine” in ‘Manufacturing Today Summit’ organized by Aditya Birla Group and ITP publishing ,2016. 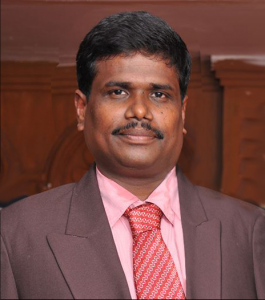 M.S.Ramachandra Rao, N.Arunachalam, K.Ramasubramanian, Development of a method for realizing a highly adhesive CVD grown boron doped diamond graded layer on WC-Co for cutting tool applications, – Indian Patent -201741015018.